What does a Gen X mom blogger have to say when millennial bloggers reign supreme online? The number of “Mommy” bloggers have grown over the last ten years and continues to rise. When I decided to use blogging as a platform for my writing, I didn’t know what I was getting into. I intentionally attended blogging and writing workshops to keep me abreast on the current trends in blogging. I also subscribed to established foreign and local bloggers to have a clear picture of how their blogs have worked for them. At the same time, having them as pegs for the kind of world I will be entering. As I did this, I was faced with a dilemma. Should I follow their recommendations to have a huge number of followers? Do I really want to be a popular blogger? Or should I continue to share my message to anyone who would listen while still keeping my online presence low-key? I am a mom who blogs and naturally I will be labeled as a Mommy blogger. Please take note, I do not nor will not look down on mommy bloggers. I started as a mommy blogger journaling about my life as a new mom. Now, I am in a different season in life. My kids have grown and even my followers’ kids have grown too. So I have to give them something they can relate with. Going back to blogging… If you ask any blogger the question, “Do the number of likes and shares really matter?” The answer will be a resounding YES. That desire to drive more people to the site is a way of promoting your services, your business, or you. However, the process is not as simple as typing away an 800-word article in a day. The post has to pass a certain readability level and be SEO-ready before publishing. Readability, SEO factors, and good editing are considered before any blog post gets published. At times, you have to redo the entire article because it does not meet the “technical requirements.” Then comes social media promotion by sharing, tweeting, using hashtags and so on. After that, stats and analytics are checked. Still with me? So you see, blogging is NOT that easy especially if you are a serious blogger or problogger. Having considered all these technicalities and my primary mission as a blogger, I had to take a leave of absence from blogging. It was just too much work for me. If I don’t have other commitments and responsibilities at home, then I would probably spend the entire day writing. However, that is not my reality. I have to admit that I could not keep up with these millennial bloggers. A majority of them have a stream of sponsorships, promotions, collaborations, and exposure. Their number of followers rise as we speak. Every post they share on their social media accounts gets shared and retweeted instantaneously. So, I asked myself, who really is my audience? Who do I want to reach? Who will read blog posts of a GenX mom blogger? 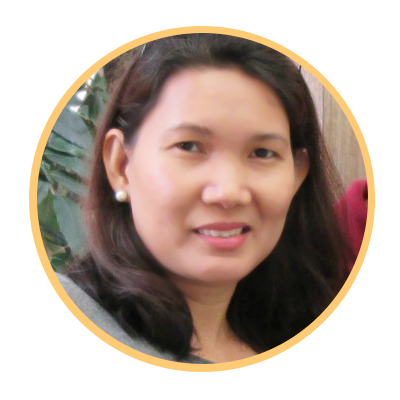 As I was trying to figure out what to do, Rhiza of Chasing Dreams relaunched her site. I was excited for the direction of her blog. Finally, I am able to call her a blog coach! So, I took the FREE blogging course which she gives away FREE to her subscribers. Sign up here! The lessons in her course are similar to other courses you will find elsewhere but I found Rhiza’s approach warmer, more sympathetic and relatable. I felt connected and that she understands the dilemma of bloggers. As if she knew what was going on in my head… Maybe because I know her personally? Haha! The exercises helped me zero in on what is important to me as a blogger and I now have a better appreciation of why, what, and to whom I write. Added to this was an epiphany of some sort recently which goes like this. First, maybe, just maybe, I was not cut out to be a sought-after blogger. And that I was not to make it BIG in the blogging scene. Second, I should be focusing more on offline writing like writing regularly for a magazine, newspaper, or even publishing my book … Wait, what? People see me as the extrovert, leader-type, a very strong choleric, but if I were to choose how to spend my day, I would rather read in a corner far from the maddening online crowd. I don’t like being the center of attention. Pretty ironic, huh? I like the online world but I guess I won’t thrive. I still prefer great conversations over coffee with fellow GenX moms. So what’s next for this GenX mom blogger? Well, I will still be around. Inspirited Mom will be focusing more on a specific group of readers, readers whom I know I can connect with. If a post tickles a few millennials or some baby boomers, then that would be great too. Meanwhile, I’ll be at my desk, studying and equipping for my future offline endeavors.